The European Space Agency (ESA) has launched the Herschel Telescope about a month ago; recently, it started delivering its first images. The pictures taken are of higher quality than most space images, allowing astronomers to improve their study of nearby constellations and galaxies. Herschel was launched only a month ago (an event that required numerous preparations, as covered by TFOT), and it is still being commissioned; according to expert evaluations, its first images were due only in late July. However, engineers and scientists managed to execute daring test observations, resulting in “sneak preview” of Herschel’s abilities. In fact, the scientists’ curiosity led to the production of images that give a glimpse of things to come. The first elements initialized were the Photoconductor Array Camera and the Spectrometer. These obtained images of M51, also known as ‘the whirlpool galaxy’. Although this was just a preliminary demonstration, Herschel’s excellence was clearly demonstrated, as the scientists obtained various images in three colors. The telescope’s main advantage is its large size: it uses a 3.5 meter primary mirror, the largest ever built for use in space, designed to observe in the 55 to 672 micrometer wavelength range. Such specifications give the telescope the ability to capture high-resolution images; unlike the Spitzer telescope, for instance, Herschel can reveal complex structures, such as M51’s spiral nature. 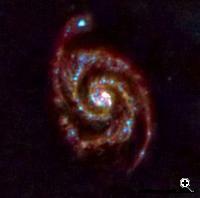 The famous ‘whirlpool galaxy’ was first observed by Charles Messier in 1773, who gave it the name “Messier 51” (M51). Relatively speaking, this spiral galaxy is actually close, distanced about 35 million light-years away, in the constellation Canes Venatici. 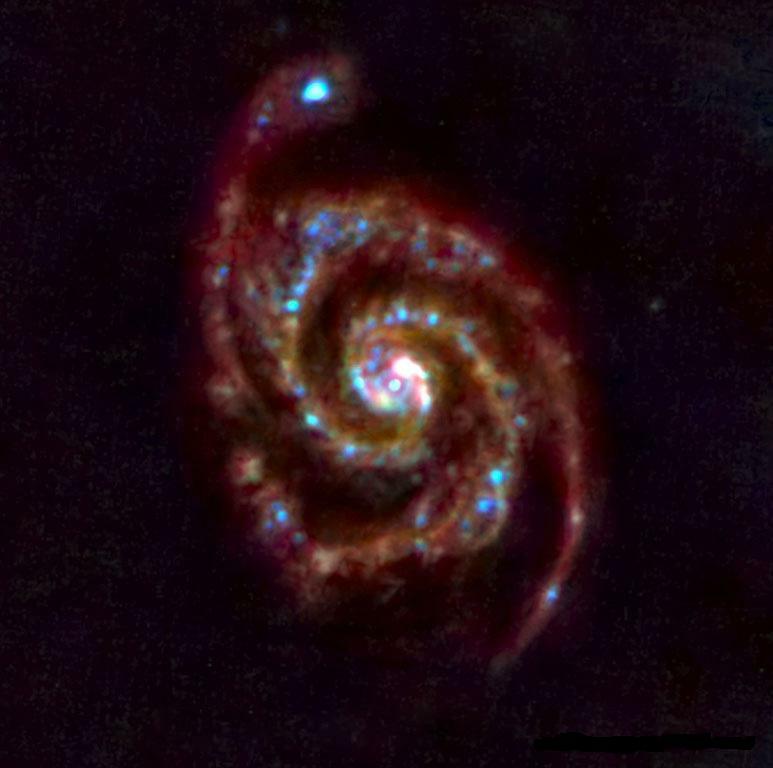 According to ESA, M51 was the first galaxy discovered to harbor a spiral structure. Though the Herschel telescope still needs several adjustments, the images produced so far have lead scientists to conclude that Herschel’s optical performance more than satisfies their expectations. As time goes by, the telescope is expected to provide valuable information that could lead to groundbreaking research. As aforementioned, TFOT has covered the design of ESA’s Herschel Telescope. Other related TFOT stories include the coverage of James Webb Space Telescope, which is the successor to the aging Hubble Space Telescope, an article on a baffling supernova observed by scientists from the Weizmann Institute of Science in Israel and San Diego State University, and the detection of luminous x-ray galaxy cluster, which was discovered by astronomers from the Astrophysikalisches Institut in Potsdam, Germany. For more information on Herschel, please visit ESA’s website.